And here I thought I had it figured out. 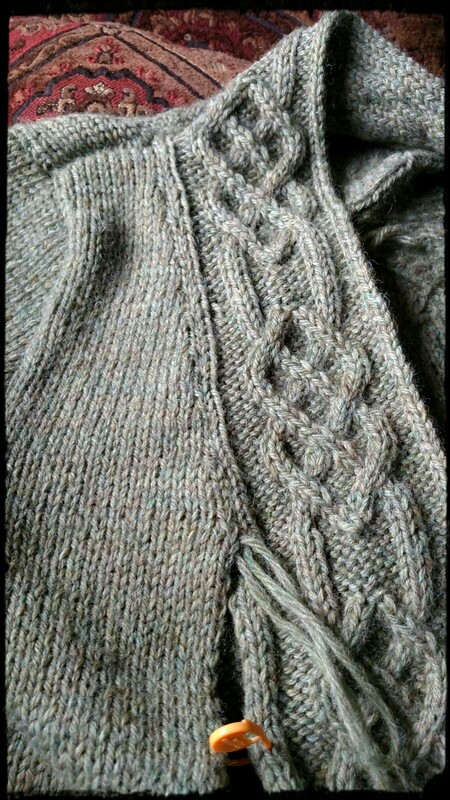 The nuances of knitting. At least some of them anyway. I had added an extra stitch ,if you recall, to the edge of the neck/edging so that when it came time to make the seam it would be even on both sides. However, what I failed to realize at the time, is that the mattress stitch – which is essentially an invisible seam – would mean that the edging would blend right into the body. Not my intention. So now I have to decide if I want to pull out my seam and pick up the stitches from the underside to allow the trim to show or if I should continue with the mattress stitch keeping the seam invisible. If I do choose to undo the seam I’ve done so far that means the trim would be slightly unbalanced 3 stiches on one side and 2 on the other. I’ve experimented in another area with taking the stitches from the underside along the trim but I’m not sure that I like the result of that either. The edge seems to be more messy even though it is now more defined. I just can’t seem to get it right. So I’ve concluded that while it wasn’t my original intent to blend the edge into the body I’ll continue with the mattress stitch. After all isn’t the intent of knitting your own garments that they are original and unique? 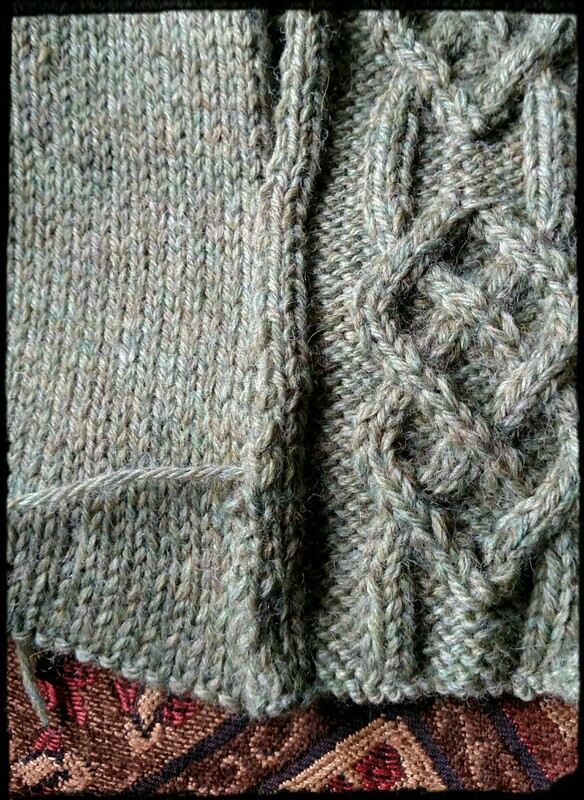 I’m so happy to have found your post as i’m about to begin the Dealla Cardigan and it’s my very first one. I’ve made boatloads of other things,both knit and crochet but never any sort of sweater. The tip about the extra stitch helps, thank you. Congratulations on finishing the cardigan. Well done! Thank you Mel. I’ve worn it several times and get compliments on it every time. Good luck! I’d love to see pictures of your finished product.